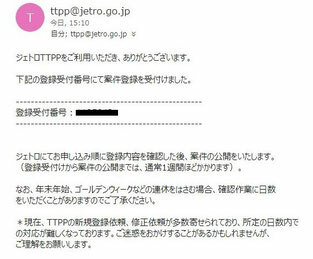 Japan External Trade Organization https://www.jetro.go.jp/en/ offers its free site of TTPP(Trade Tie-up Promotion Program), where anyone can register their products and/or services both in Japanese and in English to introduce them to the world. I am looking forward to receiving reactions, answers and/or inquiries from those interested in my new project after the application is examined and passed by the JETRO authority. Why don’t you do the same to show or introduce your goods and/or services to the world? If necessary I would be happy to give you a paid help in consulting and language translation for your possible applications.